This flower light bulb craft is a great way to spend a rainy weekend, and also a terrific way to teach kids about recycling and reusing everyday objects. Explain to your child that there’s more than one way to recycle one thing into something else. You can turn used soda bottles into a string of flower lights for spring! Most kids have gone back to school by now, so I’m sure that you’re kids have too. We thought that this would be a good craft to post because sometimes when doing school work, you need to know how much time has passed. With this timer you can check it in 30 minutes or one hour (60 minutes). This craft project is perfect for a unique back to school project. 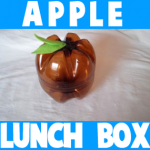 It is very simple and fun, as well as a great way to store your packed lunch. 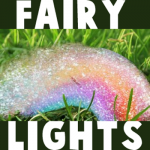 This is a cool and fun project for summer. What can be more pleasant than playing with water on a hot Summer day? How about painting with colorful bubbles, just the way a fairy would. I have a fun girly craft for you today. 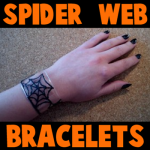 In this post I’m going to show you how to make a festive Halloween bracelet that any girl would love to wear this Halloween season. Made from a recycled soda bottle and some paint this bracelet craft is an easy and fun one. Plus, you will get a good feeling from recycling an old soda bottle instead of throwing it away. Isn’t that wonderful?! 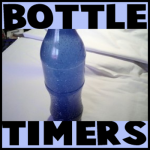 So, grab that cleaned out used soda bottle and let’s get this fun craft started. Today I have a super easy craft that is very useful. I’m going to show you how to make an Organizer out of Old Plastic Bottles or Jars. This craft is a great way to recycle those old plastic bottles and jars. And, the outcome is a beautiful organizer. You will need a little bit of adult help as you will need to use a cutter to cut the plastic bottles all different sizes. So, grab the materials needed and let’s get this craft started. Welcome birds into your neighborhood this spring…. Make your own bird feeder with recycled materials and place it on your windowsill, porch or garden. 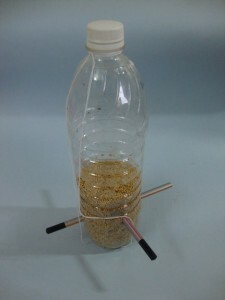 The birds can perch on the pencils and pull out seeds from the holes on the sides of the water bottle. Plus, it is super easy to refill your Bird Feeder by the cap of the top of the water bottle. Imagine watching the birds feed off of the Bird Feeder you made yourself…. wouldn’t that be so wonderful?! So, grab the materials needed and let’s get started with the craft. I have a very useful craft for you today. 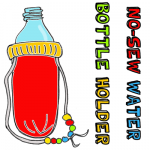 I’m going to show you how to make a No-Sew Water Bottle Holder. No more holding on to a wet and cold water bottle with your bare hands. The water bottle cover-up will keep your hands nice and warm while keeping your water bottle cold. Let’s do it. 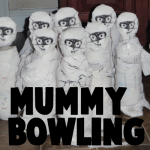 Today I’m going to show you How to Make a Mummy Bowling Game for Halloween. This is an awesome craft if you have a group of kids or better yet…. at a Halloween Party. 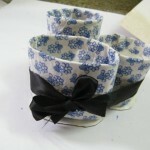 Made with water bottles and toilet paper its a fun craft that doesn’t end when the craft is finished. Once you finished making the Mummies it’s time to play… Roll the ball and knock over those Mummies. If you are looking for new Halloween decorations to put around the house, but are finding the same Halloween decorations at the store as every other year….. I have the perfect Halloween decoration craft for you. 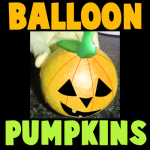 Here I will show you how to make a Halloween bean bag balloon pumpkin perfect for this Halloween season. 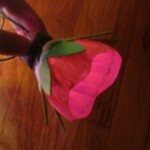 This is a recycling and a Mother’s Day Present Arts and Crafts Activity for Kids to Make. Recycling can be your way of taking care of the environment. Here’s a great craft activity that makes it really fun to recycle. 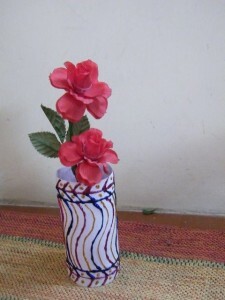 Make a flower vase out of an old plastic bottle and then put fresh flowers in it for Your Mom.